Upstate, SC [October 23, 2018] – Ten at the Top (TATT), an organization created to foster collaboration, partnerships and strategic planning across the Upstate, has announced the finalists for the 2018 Hughes Investments Elevate Upstate Community Vibrancy Grants. The five finalists were chosen from a total of 26 applications submitted for the two grants available in 2018. Hughes Investments is contributing at least $10,000 per year to the program with two recipients each year receiving $5,000 to support a new vibrancy initiative in the Upstate. The program began in 2013 in conjunction with a series of Community Vibrancy Workshops hosted by Ten at the Top. Since the inception of the grants program, Hughes Investments has contributed a total of $67,000 to community vibrancy initiatives across the Upstate. During the Ten at the Top Celebrating Successes Brunch on November 14th the five finalists will each provide a brief overview of their initiative before the 2018 recipients are selected and announced. The cost to attend the brunch is $35, prior registration is required. The event will be held from 11:30 am -1:30 pm at the Greenville Marriott. To register go to www.tenatthetop.org. The 1st Annual Charles Townes Art & Technology Experiment intends to generate awareness and gratitude for Charles Townes, winner of the Nobel Prize in Physics, who was a Greenville native and graduate of Furman University. The project also aims to be a catalyst for the acceptance and encouragement of experimentation and curiosity—in technology as well as the arts—reflecting some of Townes’ ethics. The City of Gaffney, in an effort to create walkability and interaction downtown, proposes to place Revolutionary War shields along sidewalks that will celebrate local champions from 1780 and 1781, much like the “Hollywood Stars.” The unveiling of each shield will be done by descendants of each Revolutionary War hero. The Piedmont Physic Garden (PPG), a botanical garden in the historic center of Union, South Carolina, seeks funding to start an Environmental Art Festival (EAF) along with the Union County Arts Council (UCAC), the University of South Carolina–Union (USC–U), and the Union County Tourism Commission (UCTC). All four entities are located within three blocks of each other, which will allow convenient access to various exhibits and vendors. The first EAF will take place in April of 2020. Over the two-day weekend, people from across the Piedmont and beyond will be drawn to downtown Union to enjoy the arts as well as the outdoors. The $5,000 grant will be used for logo/branding design, artist prospectus development, banners, billboard rentals, and advanced media promotion. The City of Clemson Arts & Culture Commission, in partnership with the Arts Center of Clemson and Clemson neighborhood associations, seeks to create and deliver a high-impact arts and culture festival in spring 2019 that will increase engagement and participation of Clemson citizenry in city-wide arts and culture initiatives, while also creating a new social justice opportunity. The IDEAS Festival will bring residents from the City and Clemson together to celebrate local artists as well as to gather citizen input for long-term planning for art in public places. The Ninety Six Mill Village Association (MVNA), in collaboration with the Town of Ninety Six and local residents, is seeking to build a sense of pride in the community by offering a series of free outdoor events to showcase the community park. MVNA is requesting assistance to help fund the purchase of equipment and supplies to host a regular Movie Night at the Park, which stands on the site of a former textile mill. GREENVILLE, S.C.— Ten at the Top is pleased to announce the addition of two new staff members, Adelyn Nottingham and Dewey Evans, both of whom will serve as Program Managers for the organization. Ten at the Top is a nonprofit organization focused on promoting collaboration and strategic planning across the Upstate region. Adelyn joins the TATT team after working for The Haven Homeless Shelter in Spartanburg, South Carolina. She previously served as in the Americorps Vista program through the United Way of the Piedmont working specifically with the Know(2) Program in Cherokee County. Due to her experience in enhancing the quality of life for community members, her efforts will focus on Human Potential, specifically on The Pique, a young professional development initiative, as well as issues facing Upstate seniors. She is also serving as the lead program manager for the Connecting Our Future Transportation, Mobility and Connectivity initiative. Originally from West Virginia, she now makes her home in Spartanburg, South Carolina. Dewey will coordinate the efforts around Economic & Entrepreneurial Vitality, Sustainable Growth and Community Vibrancy. These areas will focus on improving the Upstate’s entrepreneurial ecosystem, encouraging responsible future growth and embracing the cultural heritage of the Upstate. He comes to TATT with a strong desire to make an impact in the economic and community development arena and is excited to contribute to the Upstate’s regional development strategy. A graduate of Appalachian State University and Pickens High School, Evans currently resides in Easley, South Carolina. 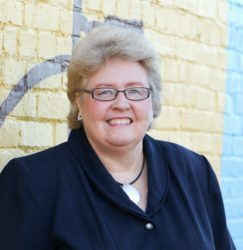 GREENVILLE, S.C.—Sue Schneider, the Executive Director of Spartanburg Water, has been selected as the 2018-2019 Board of Directors Chair for Ten at the Top (TATT). Schneider joined the Board of Directors in 2012 and previously served as the Vice Chair. She follows Hank McCullough of Piedmont Natural Gas, who was the 2016-2017 Chair and will serve as Immediate Past Chair. Terence Roberts, the Mayor of Anderson, is moving from his role as Board Secretary to Vice Chair. Roberts is also a founding Board Member for Ten at the Top. Pamela Christopher, the President of the Anderson Area Chamber of Commerce, is assuming the Board Secretary/Treasurer role. Christopher joined the Ten at the Top Board of Directors in 2015. John Verreault from T.D. Bank and David Feild from Colliers International are serving as Development Co-Chairs. Verreault has been a Ten at the Top Board Member since 2014 and Feild joined the board in 2016.